Death is what you make it. . . .
Eleanor never wanted to leave the daughter she loved so much. The overpowering urge to wander -- to search, without knowing what she sought -- drove her away. She left little Cassidy in her family's loving care. But Cassidy and the others died in an accident before Eleanor could find her way home. Now, they are all reunited, in an afterlife where nothing is truly lost: places once loved may be revisited, memories relived and even shared. Surely this is a place where they can understand and heal. And yet, the restlessness that shaped Eleanor's life still haunts her in death -- and now, she find herself dreaming of a man she never met. Somehow, she must solve the mystery of her life -- or none of them will be at peace. Karen A. Wyle was born a Connecticut Yankee, but eventually settled in Bloomington, Indiana, home of Indiana University. She now considers herself a Hoosier. Wyle's childhood ambition was to be the youngest ever published novelist. While writing her first novel at age 10, she was mortified to learn that some British upstart had beaten her to the goal at age 9. “What if” is one question that has haunted many of us most of the times. We try and imagine situations of the past giving them different endings and gauging the difference it would have made to the situation. 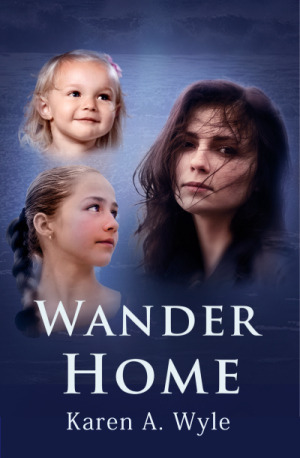 Wander Home by Kayne A. Wyle is one book where we get to see what we imagine when it comes to our loved ones. It is a very touching tale of love, romance and family set in the afterlife. The only thing is one needs to look beyond the possibility of it occurring in real life. For the characters are very well defined, quite relatable and the language easy to connect to, making it an enjoyable read. I would recommend this to all people who enjoy fantasy fiction purely for the beauty of the author’s imagination.